Business blogging is officially here to stay. 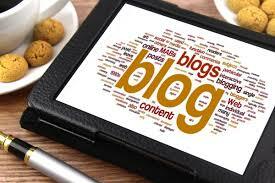 More and more businesses are incorporating a blog on their web site, and reaping the benefits with the search engines. While there is no exact science to search engine optimization, a keyword-rich blog that is regularly updated can go a long way to improving your organic search standings. The search engines look favorably on sites that have dynamic content, and you probably already know the value of including keywords on your web site. The best way to accomplish both of these is through a blog. Beyond just the advantages with the search engines, a well-written blog will keep your customers more engaged, encouraging repeat visitors to your web site. Blogs offer that unique combination of marketing to new prospects, while solidifying your brand with your existing customers at the same time. To realize the benefits of a blog, you need to be consistent in your posting. If months go by without a blog entry, this can actually have a detrimental effect on your business. The challenge for many small businesses is generating this unique content month after month. This is where the writing experts at Creative E-Concepts come in. Creative E-Concepts’ team of writers customize each blog entry for your business, your customers and most of all in way that will make a difference for your business in the search engines. With unique keyword-rich content created just for your business. Contact us to receive a quotation for your business copywriting project.